Many patients at York Orthodontics are eager to achieve a perfect smile and get their braces taken off. Our patients often ask what they can do to ensure their estimated treatment time stays on track. Delays can be very disappointing and discouraging throughout treatment. However, a patient has lots of control when it comes to keeping their estimated treatment time on the right track. Below, we have listed the top 4 ways to avoid delayed treatment time. Orthodontic treatment is a process, organized by specific appointments to move your teeth in a certain timeframe. Missing your scheduled appointments can postpone the estimated treatment time despite of our best efforts. If you are unsure if you can make it to your appointment, please contact our office so we can accommodate the changes to your schedule. If you are experiencing any problems with your appliances like a broken bracket or poking wire, contact our office to schedule a repair appointment instead of waiting for your next visit. Broken appliances are common, however they must be addressed to avoid a lengthened treatment time. Avoiding certain foods such as sticky or hard food can prevent problems with broken appliances as well. Excellent oral hygiene is essential during orthodontic treatment as are regular visits to your family dentist. Braces trap food and allow plaque to build up around your appliances. Brushing multiple times a day and flossing is extremely important. Not brushing can allow sugar to wear away the cement on your appliances, making them less effective. Not maintaining adequate oral hygiene can also result in cavities or periodontal disease. Orthodontic tooth movement may aggravate this condition and possibly result in postponed treatment. Patient cooperation is crucial in this part of your treatment plan. If Dr. Mir provides you with instructions to wear elastics, it is very important you wear them as instructed to avoid delays in your treatment. If you go to the doctor and are prescribed medication, you will take is as directed, correct? The same applies for orthodontic elastics. Avoiding wearing your elastics can delay and possibly hinder the outcome you are looking for. A great outcome in orthodontic treatment is a joint effort. Dr. Mir and the staff at York Orthodontics intend to do everything possible to achieve the best results for every patient. 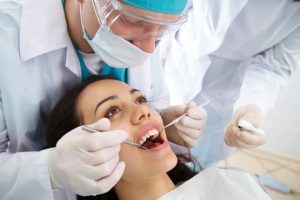 With patient cooperation heavily impacting the results of treatment, it is important we work together to achieve the beautiful smile you deserve! If you have any further questions about these tips or general questions regarding your orthodontic treatment, please contact York Orthodontics or discuss them during your next adjustment appointment.